Here we go with my thoughts on each of the Fragrances that I got in the 2016 SDM Fragrance Sampler that I picked up during a Black Friday weekend Bonus Redemption weekend! I have recently finished up with the Mascara Sampler that I picked up during that same shopping trip and luckily the Certificate was still good, heres hoping the same for this one. 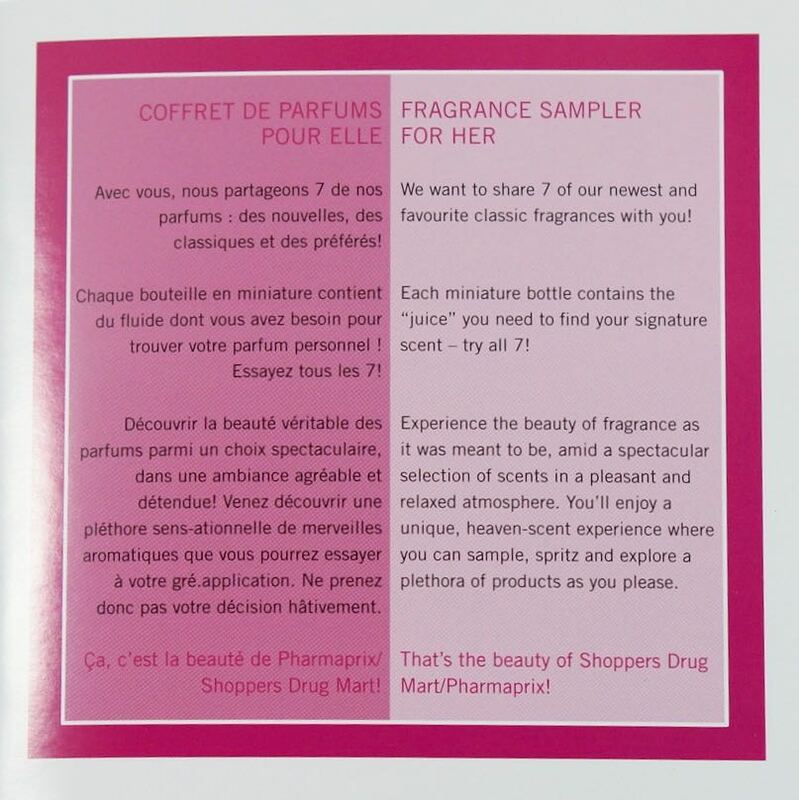 What is inside the SDM Fragrance Sampler. As with the SDM Mascara Sampler, I am hoping to do give you my thoughts on each fragrance once a week. The fragrances I will be trying out each week are - Issey Miyake-L'Eau D'Issey Pure, Versace-Eros Pour Femme, Lancome-Tresor La Nut, Giorgio Armani-Si, Chloe-Chloe, Salvatore Ferragamo-Signorina, Mugler-Angel Muse. As I said in my intro post, there are a few fragrances included in this set that I already know that I like. I decided to try out the fragrances in the order that they are shown in the Fragrance Guide booklet. 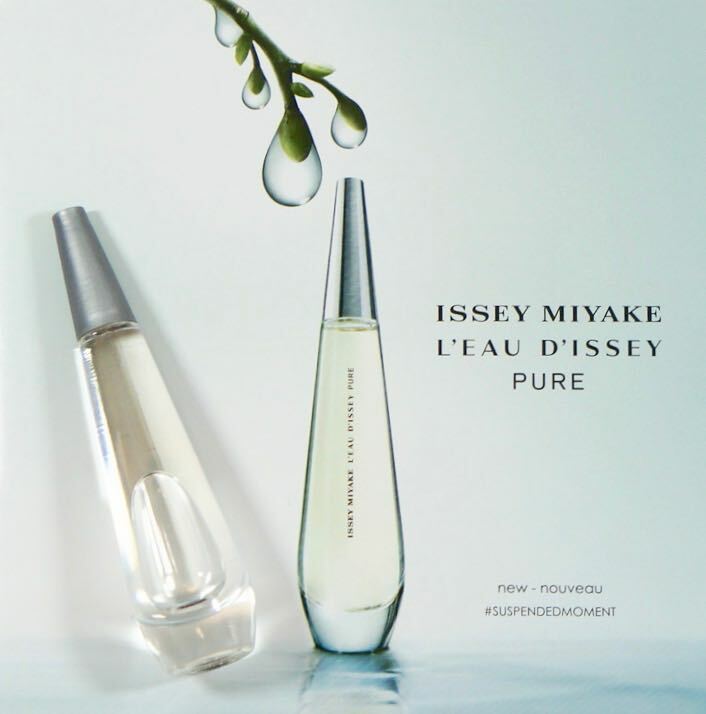 So the first fragrance on the list was Issey Miyake - L'Eau D'Issey Pure. Style: L'Eau d'issei Pure is an invitation to go back to the source, to L'Eau d'issei. It all began as a rare and precious drop...which transformed into a bottle and became L'Eau d'issei Pure. Enjoy a moment suspended in time, a moment of reverie and escape. The Woman: The L'Eau d'issei Pure woman is natural, elegant, and modern just like the confident woman of today. The very essence f femininity. I love the simple look of the bottle, it is just beautiful! I only wish that the perfume smelled good on me. I am not a huge fan of floral-y scents and on me that was all I could smell. I think it was the Lily of the Valley that I was smelling. On me this seemed to be a very strong floral scent, but if I had read the description a little better I would have noticed that that is what this fragrance mostly consists of. The scent lasted all day on me as well, not so great when you don't like it! I would apply the fragrance around 630 am and I could still smell it at 9 pm, thats pretty great for a perfume! For me I would rate the Issey Miyake - L'Eau D'Issey Pure as a 1. I will happily keep the bottle though as I said earlier, I love the simple lines of it.